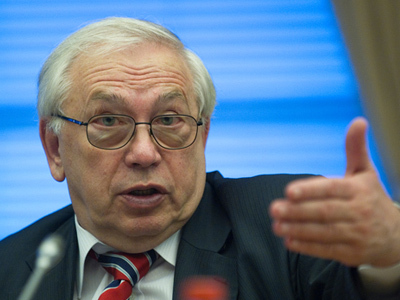 Russian Commissioner for Human Rights Vladimir Lukin wants all of the Katyn crime files be declassified and the executed Polish citizens recognized as victims of repression. ­The Katyn case should be brought to an end, which means “total openness and no material claims,” Lukin said. “In my opinion, they are certainly victims of Stalin-era repression,” he told Interfax on Friday. He suggested declassifying all of the Katyn crime files regarding the operations of the Soviet security police, NKVD, in which Polish citizens were executed in April-May 1940. The Polish nationals should be recognized victims of Stalin-era political repression in the absence of compensation claims, the ombudsman believes. 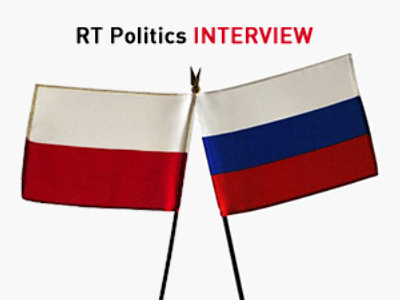 In his view, this may end a long-term argument clouding the relations between Moscow and Warsaw. 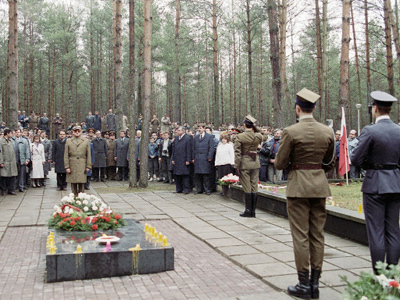 The Katyn forest near Smolensk – some 350 kilometers southwest of Moscow – is one of the locations where the Poles were killed under the Soviet regime. About 22,000 Polish officers perished during the purges in the USSR after the start of WWII. The human rights ombudsman believes a general description “repression victims” should be introduced, referring to the Polish citizens. Lukin also said although a large number of Katyn-linked documents were passed to Poland in 2010, some important files remain classified. They include a resolution of the Main Military Prosecutor’s Office, which closed the investigation into the Katyn massacre in 2004. All the documents available to us should be published “once and for all,” Lukin said. Russia’s Chief Military Prosecutor Sergey Fridinsky on Thursday said there was no reason to re-launch an investigation into the Katyn Massacre, citing the corresponding decision of the Supreme Court. “All of those who were found guilty are dead,” he said. In June 2010 he said there were no grounds to recognize the executed Poles as repression victims, Interfax recalled. 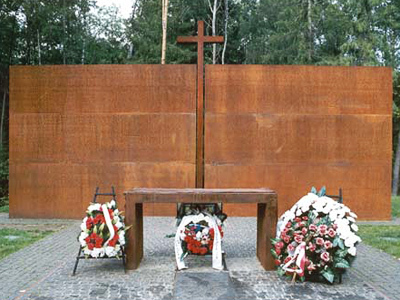 In April, President Dmitry Medvedev blamed the Katyn Massacre on the Soviet leadership. “The attempts to present any other versions of the events are not based on historical documents, nor do they have moral grounds,” he said during a meeting with his Polish counterpart Bronislaw Komorowski in Smolensk. The president of the USSR Mikhail Gorbachev was the first Soviet leader to acknowledge the massacre and apologized to the Polish people. Under Russian President Boris Yeltsin, some of the secret documents related to the Katyn case were released to historians. Warsaw demands that all the documents be declassified. This was partly done in April last year, when Russia’s state archive agency published some copies of previously top-secret documents, the existence of which was denied by the Soviet Union’s leadership. This April, the Russian General Prosecutor’s Office passed 11 volumes on the criminal case on Katyn to Poland, files which have been investigated by Russian military prosecutors. In November 2010, the Russian parliament adopted a statement admitting that the executions took place on the direct orders of Joseph Stalin and other Soviet leaders. Since then, Moscow has been looking for ways to rehabilitate Polish servicemen killed by the Soviet security police. “A formula satisfying the relatives and not going against Russian law will be found,” Russian Ambassador to Warsaw Aleksandr Alekseev said in February.